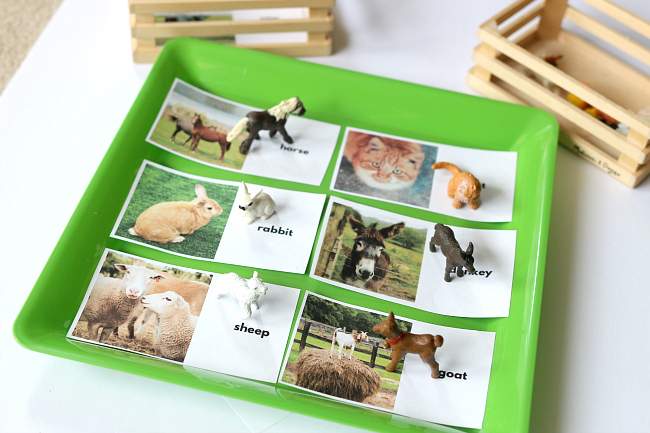 The goal of an activity like this farm matching activity is not just to match up the animals, it is to look at how an animal grows and changes, using the figurines allow the children to manipulate and examine the animal more closely than simply using two photos, and children can compare which animals change a lot and those that look similar from the time they are babies. 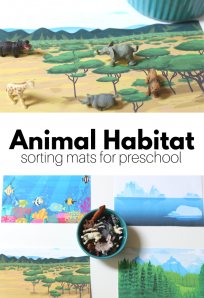 The names of the animals are on the cards for a few reasons, it teaches children to associate print with spoken words when teachers point and use the words, but it also supports children at different levels of development. 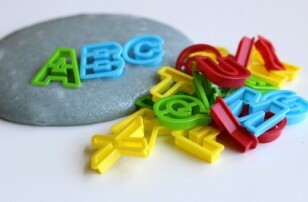 From basic phonemic awareness that a word like cow starts with c which makes a /k/ sound to supporting spelling for children who are on the cusp of independent writing. 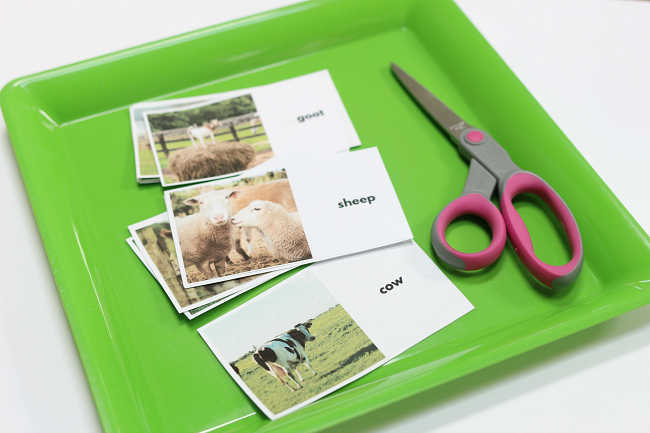 These cards can be used in many active ways by your students or children at home. 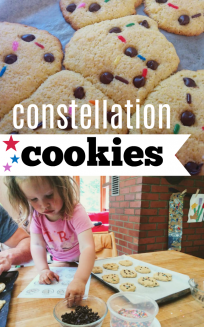 This activity is just one of many. Gather your materials. 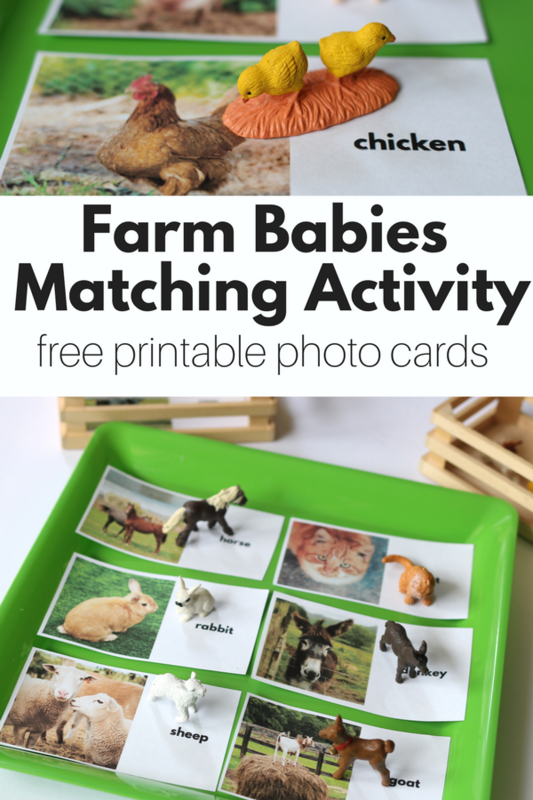 You will need to print out the Farm Babies Matching Cards ( click here for the pdf), scissors, some farm babies figurines like these from Safari, a few containers and a tray. Start by cutting the cards out. 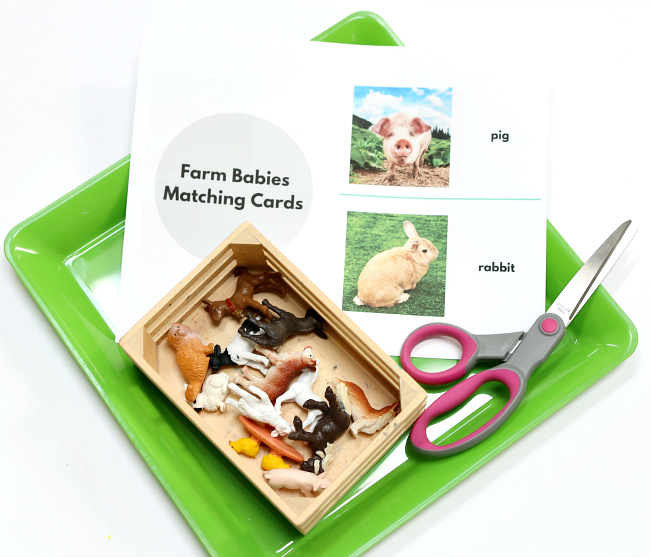 If you have a straight cutter use it, if you plan to use this farm matching activity in a classroom I’d laminate the cards. I’ll be laminating mine at school tomorrow. 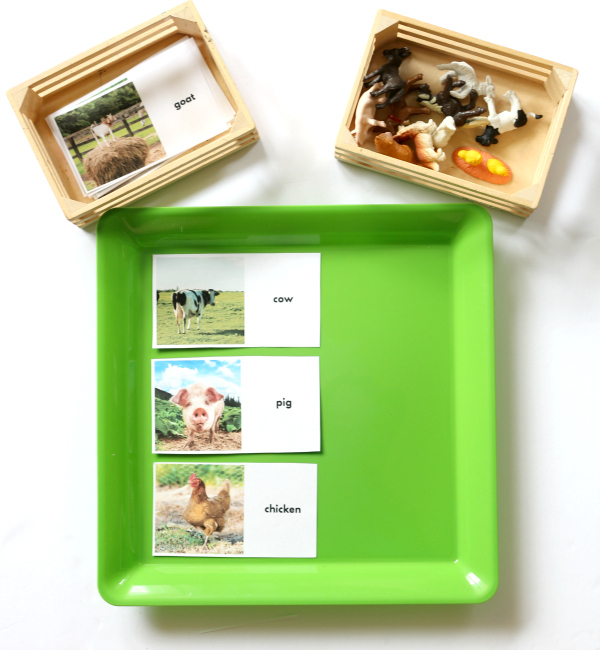 Pop the cards in one container and the animal figurines in the other and place a few cards on the tray as an invitation. 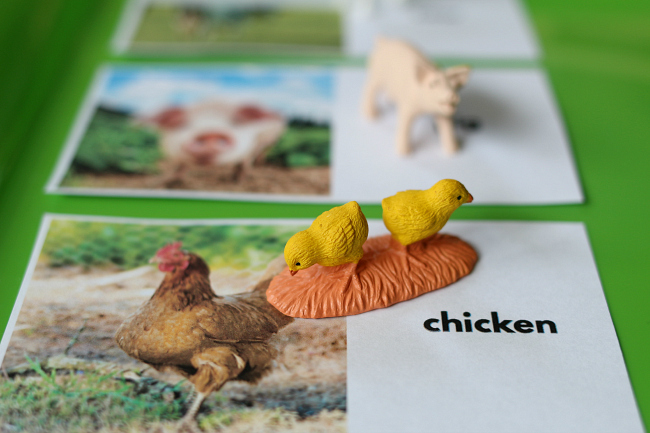 If you are visiting with a child who is doing this and want to narrate try phrases such as ” When you were a baby were you very little?” If there is no response maybe try something like” That chick is much smaller than the chicken.” I tend to open with things like this and then just follow where the conversation leads after that. 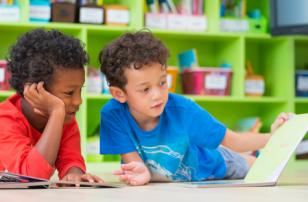 For older children, you can put more cards out to match up. 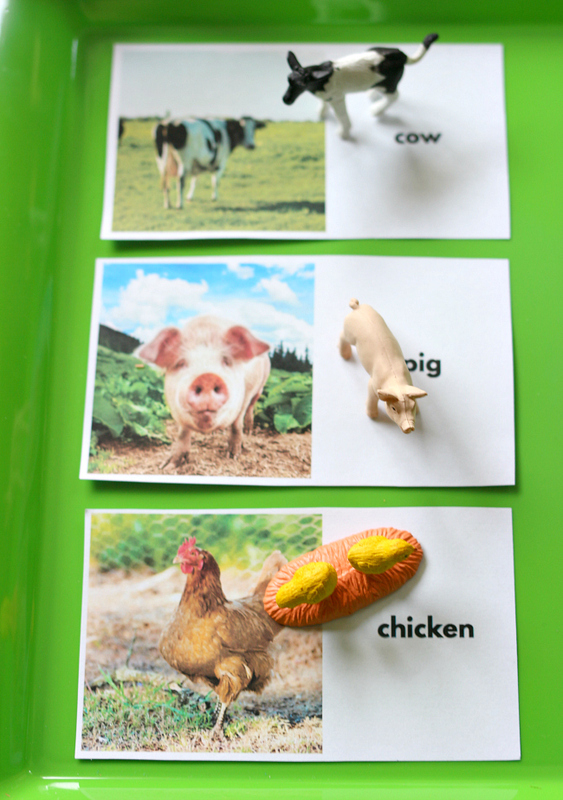 Here are the free printable farm cards one more time –>download here. 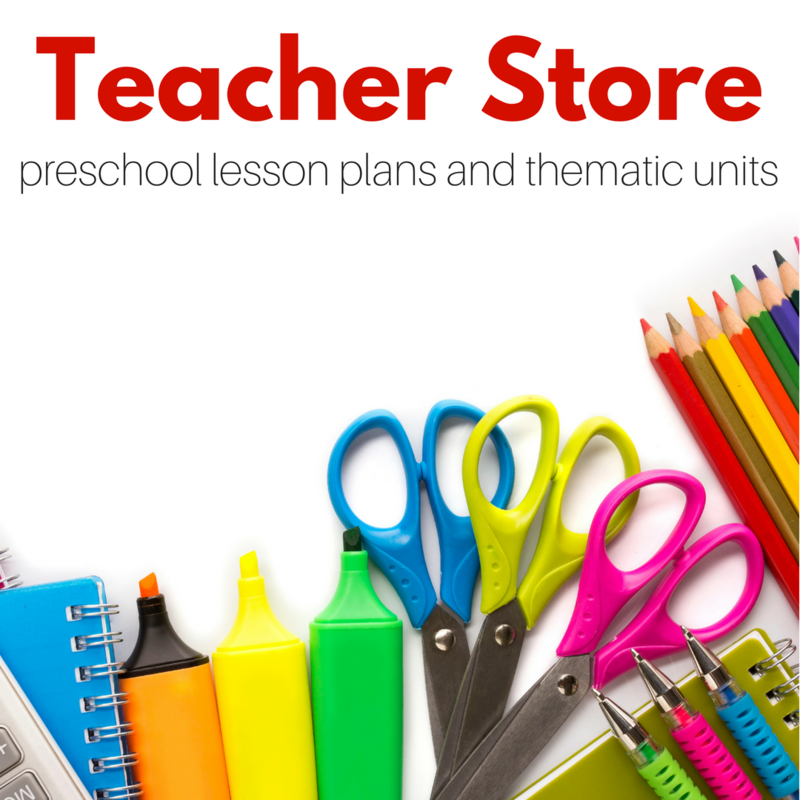 If you like this idea I bet you will love my ebook filled with circle time and free choice ideas for preschool. 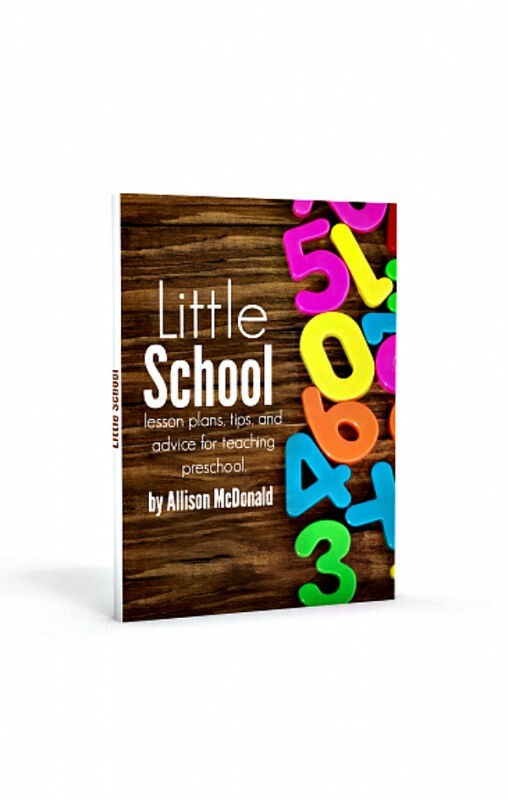 Little School is on sale now! 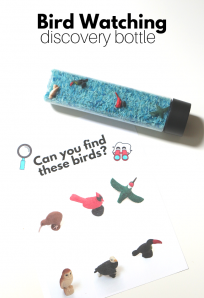 How do you store all these little bits you use for activities? 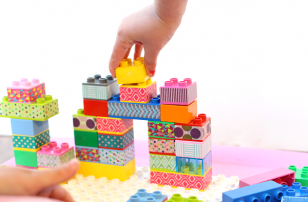 Or are they just part of your kids toys and you just dig them out to do these types of things?